During the years 1856 to 1858, Comanche raids on the Texas frontier began to escalate in both number and ferocity, as settlers encroached further into the Comancheria, plowing under valuable hunting grounds. Ironically, matters came finally to a boil when four white outlaws disguised as Comanches massacred James B. Cambren and his two sons, who were plowing a new field on their homestead bordering the Brazos River in the far northwest corner of Young County. Two additional settlers, Thomas Mason and his wife Mary, were also slaughtered when they heard the shots and attempted to come to the aid of the Cambren family. To make matters worse, President James Buchanan had recently ordered the bulk of the 2nd U.S. Cavalry, who had been providing protection to the settlers in West Texas, to withdraw and ride north to Utah, where they participated in what came to be known as the �Mormon War.� Ignoring reports that the Young County atrocities were committed by white men, Texas Governor Hardin Runnels used the murders to fan the fires of racial hatred and justify his request to the legislature for the establishment of a battalion of Texas Rangers. 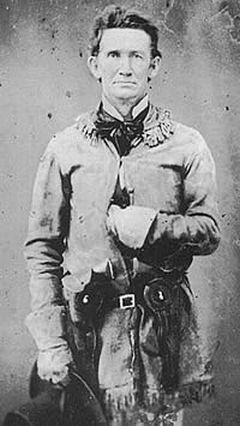 The legislature approved the request on January 27, 1858, and Runnels immediately appointed long-time Texas Ranger, Major John Salmon �Rip� Ford to command the new battalion. Rip Ford had earned his nickname during the Mexican war while serving as Jack Hays� regimental adjutant and medical officer. As medical officer, Ford was required to sign the regiment�s death certificates, and he always annotated them with R.I.P., for rest in peace. Governor Runnels issued explicit orders to Ford to ��inflict maximum punishment. I impress upon you the necessity of action and energy. Follow any trail and all trails of hostile or suspected hostiles you may discover and if possible, overtake and chastise them if unfriendly.� Ford was to brook no interference from any source, even the remnants of the United States Army, who might try to enforce the law against trespassing on Indian Territory. "John Salmon Ford, Photographed while serving as a Colonel in the Confederate 2nd Texas Cavalry during the War Between the States. Original photograph circa 1860 to 1865; accessed 2010-07-31 at the Civil War Preservation Trust website." Once again the column moved out, this time with the Tonkawa and Waco warriors ranging well ahead, but more than week passed before the scouts brought back news of recent Comanche camps strung out along the Washita River. Continuing to make his way north, Ford led the expedition along the course of the Washita watershed until the column reached the False Washita River late in the afternoon of May 11. From a vantage point on a rise above the old road that ran between Fort Smith and Santa Fe, Ford and Shapley Ross spotted a small band of Comanche hunters chasing buffalo in the valleys off to the north. 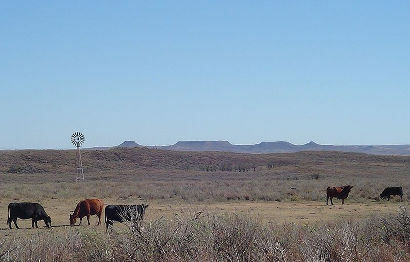 Realizing that the main Comanche village he sought must be nearby, Ford ordered the Rangers to set up a cold camp and to keep their noise to a minimum. After nightfall, Ford dispatched his scouts north with orders to fan out and locate the camp of the hunters he and Shapley had spotted earlier in the afternoon. The veteran Indian fighter realized that, in order to maintain the element of surprise, it would be necessary to attack the small camp and silence the warriors before they had an opportunity to spread the alarm to the main village. The scouts soon returned with news that the hunting camp was located in a small valley of the Antelope Hills only a few miles distant. The long column of Rangers and reserve warriors rode out well before sunrise. Placido and his Tonkawa warriors claimed the privilege of launching the attack on the unsuspecting hunting camp, and Ford gladly granted their request. The Tonkawas effected complete surprise, overrunning the small camp in a short, bitter struggle. Most of the women and children were taken prisoner, but the Comanche braves preferred death to the humiliation of captivity and not a single warrior escaped. 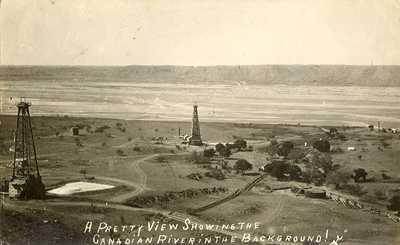 A short time later, as the rising sun slowly crept over the hills to the east, the Ranger column came into view of the Comanche village nestled down in a grassy meadow on the north bank of the Canadian River, near the mouth of Little Robe Creek. As the Rangers and reservation warriors sat their horses gawking at the village, a solitary Comanche was spotted riding south, evidently heading toward the hunting camp recently destroyed by Placido�s Tonkawa. Screaming their war cries, the scouts lit out in pursuit. The startled Comanche reined around and galloped for river, splashing across ahead of his pursuers and bolting into the village to spread the alarm. However, the warrior�s escape inadvertently revealed the location of a shallow ford that spanned the treacherous, quicksand-laden waters of the Canadian. Ford signaled for young Ross to ride ahead and cross with his scouts to secure the far bank until the Rangers could maneuver into position. When the Rangers reached the riverbank, Ford led them across the shallow river and quickly formed a skirmish line facing west toward the village, with the Ross and his warriors on the right. At Ford�s signal, the line moved slowly forward. The ominous rumble of drums echoed across the flats along the Canadian, as an impressively mounted war chief, waving a long feathered lance and wearing a bonnet of otter fur and eagle feathers, rode out from the center of the village at the head of a line of warriors, screaming insults at the approaching Rangers and hated Indian scouts. The Comanche�s chest was covered by a coat of Spanish chain mail that gleamed in the morning sunlight, and the Tonkawa spoke among themselves in hushed tones that the mailed warrior was none other than the infamous Pohebits Quashno, or Iron Shirt. As the magnificently attired Comanche war chief galloped back and forth in front of the Rangers and scouts, occasionally loosing an arrow from his short bow, several rifles were discharged in his direction without any effect. In response, Ford finally gave the order to fire a volley, and the Comanche was knocked off his horse. As Iron Shirt came to his feet, a second volley put him down for good. Ford then ordered his men to secure their long rifles, draw their Colts, and charge. "Comanches of West Texas in war regalia. Painting by Lino S�nchez y Tapia, circa 1830s. Courtesy of the Gilcrease Museum, Tulsa, Oklahoma." Many of the warriors who had formed the battle line behind their vaunted war chief faltered at his death and fled from the assault. The few Comanches who attempted to hold their ground were overwhelmed and brutally gunned down, as the Rangers and reservation warriors galloped through their depleted ranks, Colts blazing. Ford reined up when he reached the outskirts of the village and watched as his Rangers and Indian scouts attacked in all directions. Individual Comanche warriors and their women and children bolted from their teepees and fled toward the hills to the north and west of the village. Vengeful Rangers chased the warriors down, killing any man who attempted to stand and fight. Switching the cylinders on their cap-and-ball revolvers was cumbersome on horseback, but most of the Texans carried two or more of the rapid-firing Colts, and the onslaught continued without letup. A small group of Comanche warriors gathered to the west of the village on the banks of Little Robe Creek in a desperate attempt to delay the Rangers while their families escaped into the hills. The delaying action was briefly successful, and several groups of women and children were saved, but the valiant effort cost the warriors their lives. None of them managed to escape the wrathful Rangers. A running battle soon developed in the hills to the north and west of the village, and the chase continued into the early afternoon, stretching across the prairie for more than six miles. Eventually, Ford saw that his men�s horses were near exhaustion and that both powder and ball were running low, so he ordered the Rangers to return to the village and reform. It was well they did. However, after watching his Indians being bested time and again by the fearsome Comanche, Ford grew tired of the game and ordered Placido and his Tonkawa to advance. The veteran Indian fighter hoped to lure the Comanche down out of the hills, but Peta Nocona refused to take the bait. His impatience growing, Ford finally ordered the Rangers to advance at the trot. As the Rangers neared the Comanche line, Ford ordered a charge, and the Rangers galloped toward the Comanche with drawn Colts. Lieutenant Nelson took that moment to strike the enemies� left flank, and the Comanche line was broken. Once again, a running fight developed that stretched for several miles across the rolling hills north of the Canadian, but the Comanche short bows were no match for the firepower of the Rangers� rapid-firing Colts. At Peta Nocona�s expert direction, the Comanches continued an orderly retreat from one covered area to the next, fighting a series of delaying actions to screen the withdrawal of his village and the survivors of Iron Shirt�s village. By late afternoon, Ford realized that both his men and their horses were again near exhaustion, and he called a halt to the fighting, ordering his Rangers and Indians to return to the village along the Canadian. 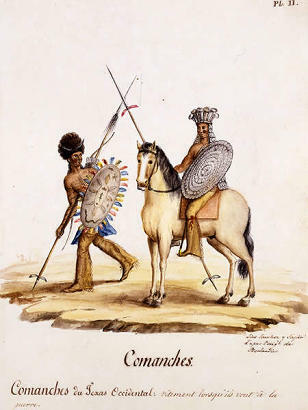 Two Rangers were killed in the fierce fighting and five wounded, but they killed 76 Comanche warriors, took 18 women and a few children prisoner, and captured more than 300 horses. That evening the Rangers looted and burned the village, and in a gruesome feast, the Tonkawa cooked and ate some of the hands and feet of the dead Comanche warriors. Early the following morning, Ford led his men south. The weary column returned to Camp Runnels on May 21. In his report to the governor, Ford stressed that the expedition had proved so successful that all Indians in northwest Texas should be similarly pursued and defeated as soon as possible. Ignoring the role played by the reservation Indians, the veteran Indian fighter claimed that his 100 Rangers had met and defeated an enemy force four times their size. 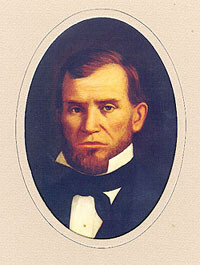 Governor Runnels read the report to the Texas legislature and had it printed in all the newspapers, which made Ford a widely celebrated hero. However, Runnels refused to allow the veteran Ranger to continue the mission, when he learned that all authorized funds had been expended, and he ordered Ford to immediately disband his battalion of Rangers. 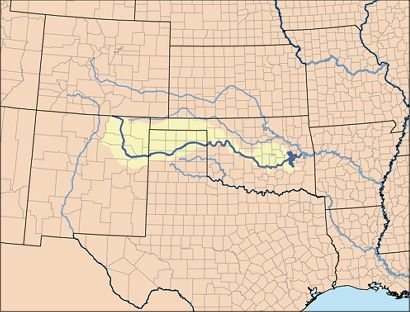 The onset of the Civil War prevented any similar actions against the Comanche for the next several years, and the focus of Governor Runnels would soon switch south to the Rio Grande. References for "Battle of Antelope Hills"
Cox, Mike (1991) The Texas Rangers; Eakin Press; Austin, TX; ISBN 0-89015-818-5. Fehrenbach, T. R. (1974) The Comanches: The Destruction of a People; Knopf Press; New York, NY; ISBN 0-394-48856-3. Fehrenbach, T.R. (2000) Lone Star: A History of Texas and the Texans; Da Capo Press, NY; ISBN 0306809427. Ford, Salmon John (1987) Rip Ford�s Texas: Personal Narratives of the West: Edited by Stephen B. Oates: University of Texas Press; Austin, TX; ISBN 0292770348. McCaslin, Richard B. (2011) Fighting Stock: John S. �Rip� Ford of Texas (The Texas Biography Series); Texas Christian University Press; ISBN 0875654215. John Salmon Ford from the Handbook of Texas Online.